You come into the office and before you’ve had your morning coffee, someone’s at your desk looking for help with an issue. You spend the day trying to focus on that new tool you’re building for the developers, it’s going to make their lives so much easier, but you find that you’re firefighting all day. The day ends and you wonder “what did I even do today?”. 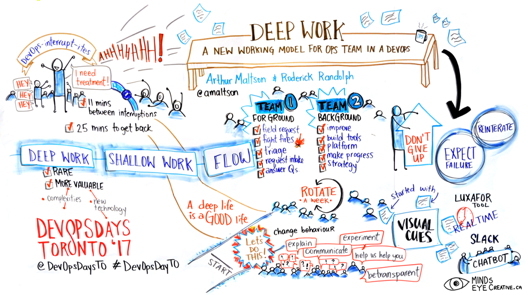 In our roles as DevOps practitioners, we live an interrupt driven life, but how do we make progress on that new internal tool or investigate that new OSS project? It’s not hopeless! 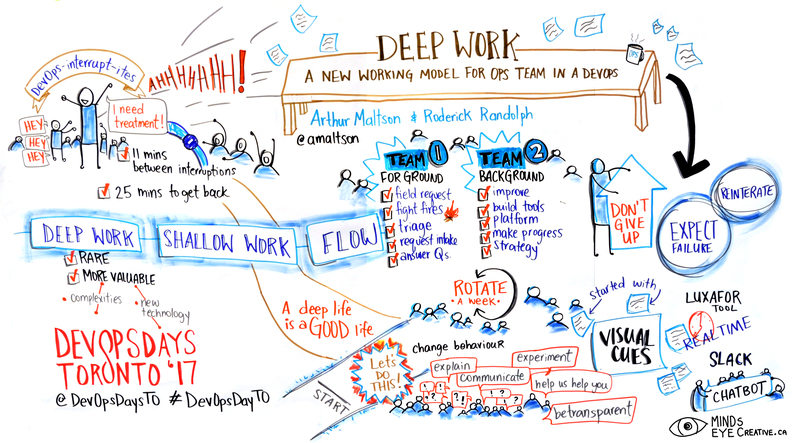 This session will introduce the concept of Deep Work and a new way to structure your team to optimize for Deep Work, while at the same time meeting your customers’ (i.e. Developers, QA, etc) needs. At the end of the talk you will have learnt from our experience implementing the new team structure in two different organizations, ways to promote the concept, how to visualize people’s availability, and how to find success in an interrupt driven world.